Our lab aims at a quantitative understanding of how biomolecular machines function in their native biological environment. Our approach is inspired by the idea that once we understand biology at the atomic level, then it becomes tractable by the laws and principles of chemistry and physics. Biological macromolecules adopt intricate three-dimensional arrangments that are critical to their function. We study these structures by making use of the high-resolution imaging tools of structural biology: electron cryo-microscopy (cryo-EM), correlative fluorescence and electron tomography (cryo-CLEM,) and macromolecular diffraction. Since both the physical dimension and the operation level of the systems we study are at the nanoscale, we collectively describe this as biomolecular nanoscopy. 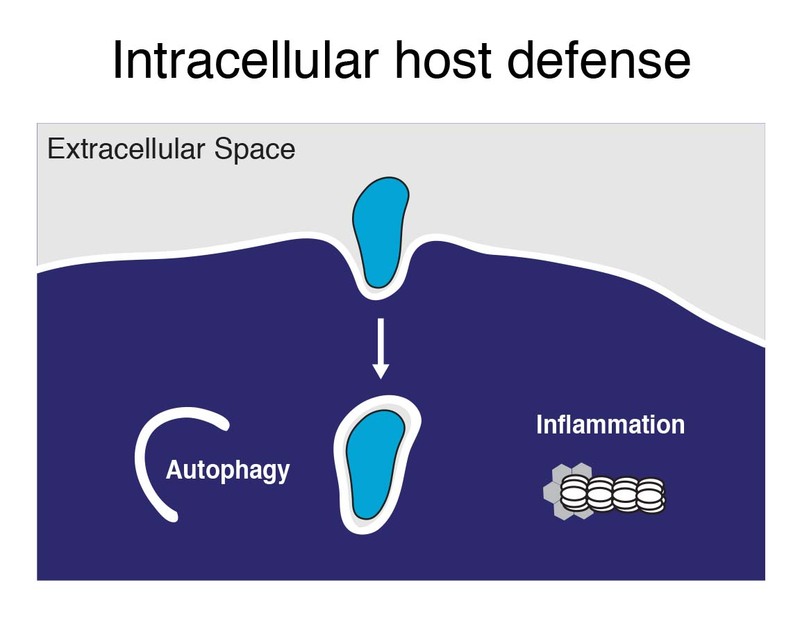 More specifically, we are interested in the molecular machinery that individual cells employ to defend themselves against infection. 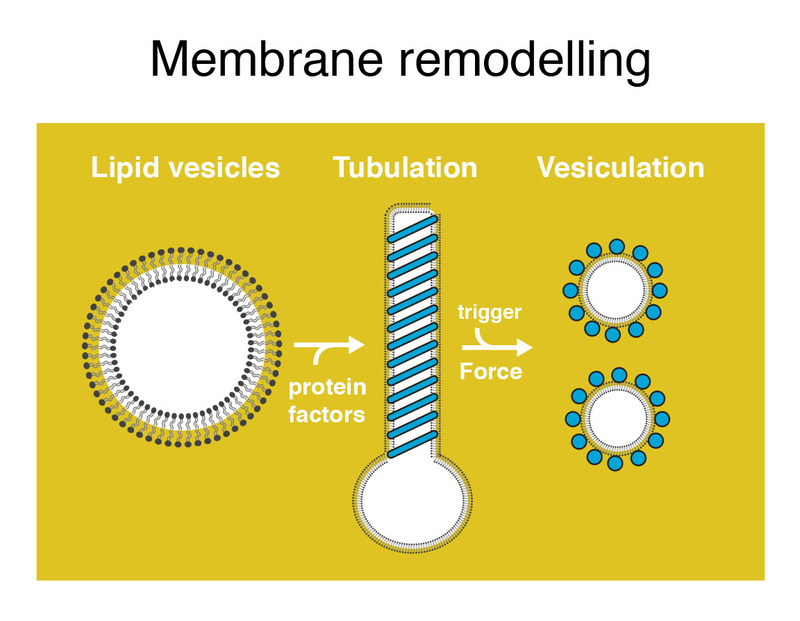 Our research interests include the structure and function of host factors in intracellular immunity, the mechanism of force generation by large macromolecular assemblies on membranes and the role of autophagy in pathogen elimination. We combine cryo-EM with other structural methods to visualize the macromolecular complexes involved in these processes, and apply quantitative biochemical and biophysical tools to dissect their mechanism of action. 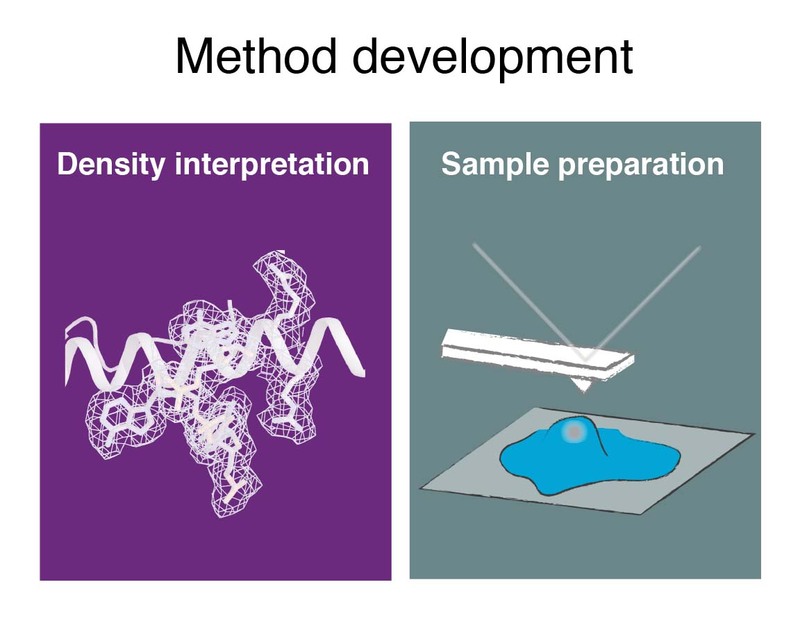 The challenges implicit to this endeavour also lead us to develop, optimize and apply new approaches for cryo-EM sample preparation, imaging, image processing and data interpretation. Please have a look at the individual research areas for more details.